Bulletproof Security guard in the Penokee Hills. Katie Kloth commited a crime and has been charged. We thank you for doing your job and hope you will treat her fairly. From the video footage of that event, G-Tac employees were either fighting back or laughing at her. Since then, G-Tac has broken laws in the hiring of Bulletproof Services out of Arizona for protection. Many businesses and homes in Iron County have some sort of security. There is no need to to speculate on anyone’s security unless they break the law. G-Tac admits they did. Where are their charges? 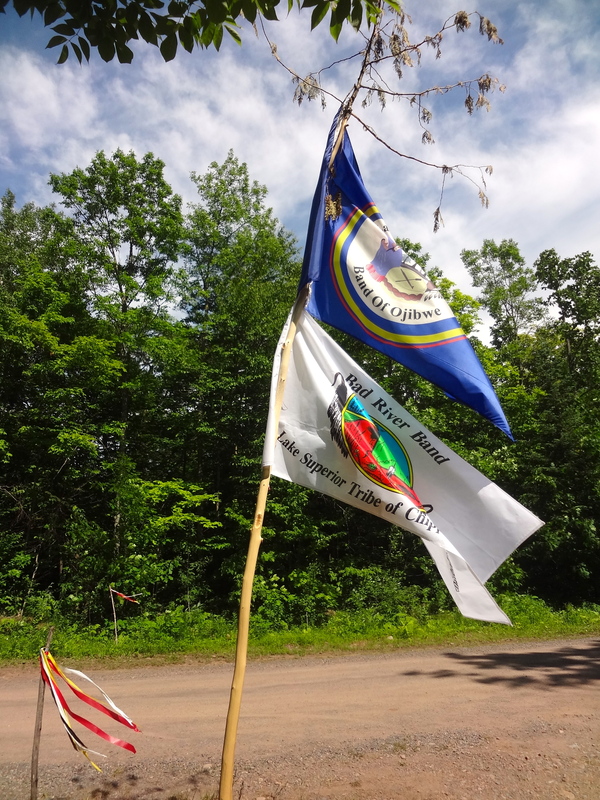 Lac Courte Oreilles and Bad River Bands of Lake Superior Chippewa sovereign flags at the entrance of the LCO Harvest and Education Camp. Bulletproof’s presence was illegal and provocative by design. The professional, legal presence of uniformed police did not provoke fear. We were on Moore Park Road visiting the Harvest Camp on Tuesday, July 2nd when two military style vehicles went towards the mine site. The same two military vehicles came back later and stopped on the road at our vehicle. They gathered information and blocked our exit for a time. The quick departure of BPS’ oversized military vehicles when approached by one peaceful, unarmed native (Mel) was unnerving. 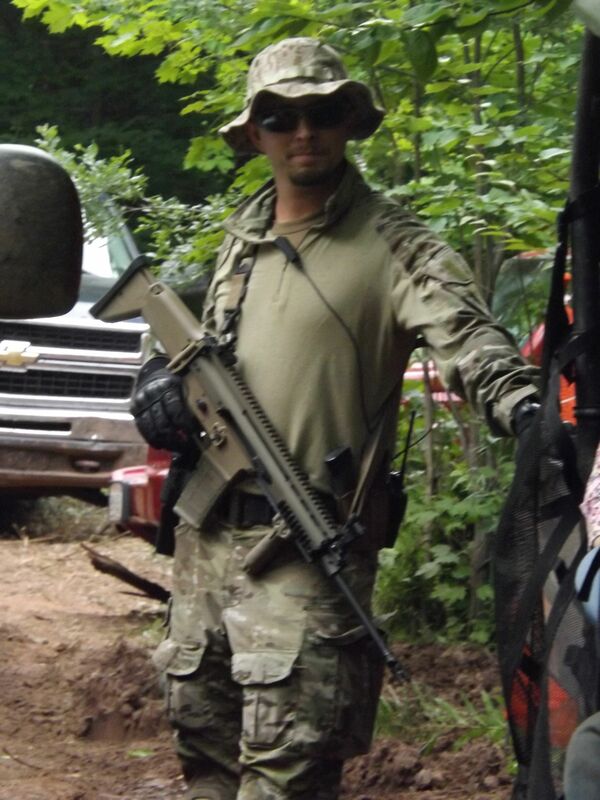 Many have documented their spying and sneaking up on people equipped with assault rifles. Their owner is quoted saying that pistols would not do the job. Iron County is a hot bed of controversy right now because of the new mining laws, lease, zoning, conflicts of interests, activists, non-bomb threats, parades, internet death threats, assaults, and everything else that goes along with this proposed mine. Reporters and many others around the state and nation are waiting for your decision on G-Tac’s and Bulletproof’s illegal activities. No matter what side people are on in Iron County, anyone with common sense is tired of Iron County looking foolish and lawless. We ask that you charge G-Tac with the crime they have confessed to. We do not think it would be wise to let people or corporations get away with crimes by pleading they didn’t know better.